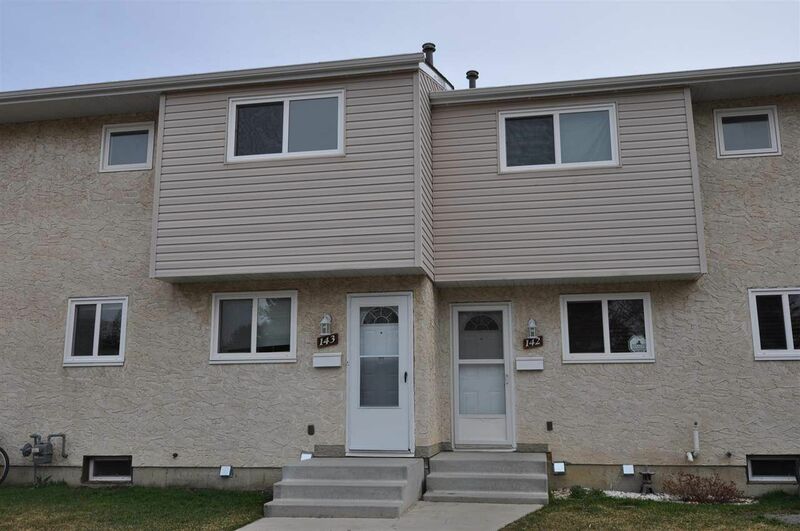 AFFORDABLE LIVING IN BON ACCORD! Perfect home for a first-time Buyer or Investor looking to add to their portfolio. Well-kept 3-bedroom town house featuring a generous sized living room with garden doors leading to the fenced backyard, spacious & functional kitchen with an adjacent dining area, 3 bedrooms and a full 4pc bath on the upper level, plus additional living space in the developed basement boasting family room, laundry and storage area. Newer flooring, fresh paint & low condo fees! 2 assigned, powered parking stalls right in front of your door for added convenience. This quiet and well-maintained condo complex is ideally located close to walking trails, schools and town amenities. Easy 15-minute drive to CFB Edmonton and less than 30 mins to St. Albert and Edmonton. Quick possession available!